The start of the new year is a great time for a bit of a clear out. Perhaps you need to make some room for all the new items acquired over Christmas, or you might have made it your resolution to declutter your home. People planning a major clear out can always hire a skip but, for the smaller jobs, you might want to consider our waste disposal bags service. We’ve devised a system that requires minimal effort on the part of the customer. All you have to do is order your heavy-duty waste disposal bags and fill them, we’ll take care of everything else. Here’s how it works. Order your bags. Bags come in rolls of ten and cost £6.00 (+VAT) per roll. Each bag has a capacity of 120 litres. A member of our team will drop the bags off at your address – you don’t have to be at home for the delivery. Fill your bags. We are unable to accept bags that have been filled with soil, rubble or hazardous materials. But, hopefully, your new year’s clear out won’t be generating any of these things! Arrange collection. You don’t have to use every bag in the roll. Once you have filled as many bags as you require, contact us to arrange collection. We charge £6.00 (+VAT) per bag collected. Our waste disposal bag service is significantly cheaper than rival services such as the national chain Clearabee who charge £12.99 per bag collected and have a minimum of three bags. So, if you are in our service area and you’re having a new year clear out, it makes sense to contact us for your waste disposal bags. 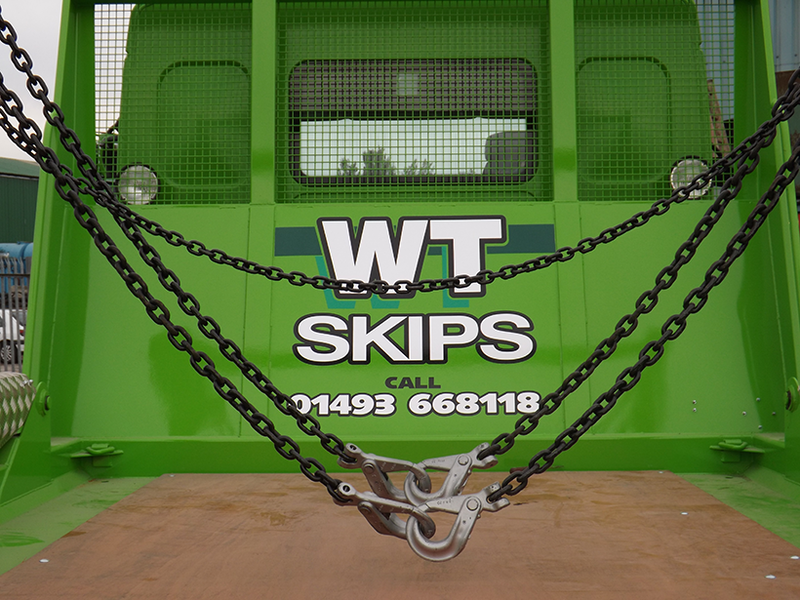 You can call our offices on 01493 668118 or email info@wtskiphire.co.uk.